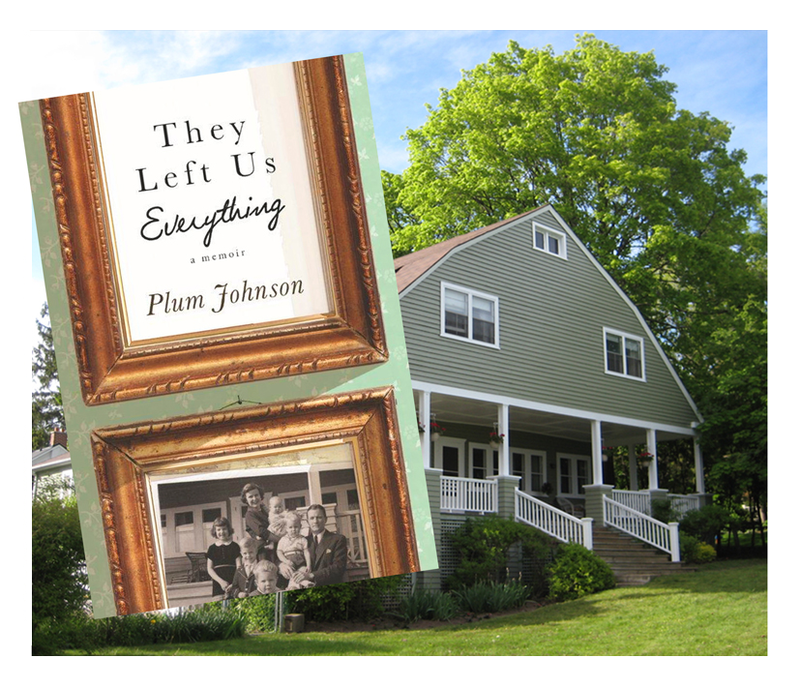 My true love gave to me, They Left Us Everything by Plum Johnson. Earlier this year, six months ago now, I moved from my tiny one-bedroom apartment on Duke Street in Hamilton’s Durand Neighbourhood. The three-storey building was my home for seven years, and though it was cluttered and messy, I loved that place. I took pictures, hoping to remember every detail. “I’ll never see this crack, these floorboards, that shadow again.” And finally, after eating sushi and drinking a glass of cheap sparkling wine on the floor, I left the keys on the windowsill and walked out the door one last time. Leaving a home is emotionally charged, and the experience was only heightened because during the time I was packing my life into boxes, I was reading They Left Us Everything, a memoir by Plum Johnson. After the death of Johnson’s mother (a handful of years after her father died), her family is left with a daunting task — prepping Point O’ View, the family’s expansive Oakville waterfront home, for sale. I know what you’re thinking. A memoir about rich suburbanites. But They Left Us Everything is anything but. It’s the story of a large, but drafty, old cottage, which was purchased by Johnson’s parents, Alex and Anne, for $10,000 half a century ago. It’s also the story of the lives that were lived (and lost) within its walls. Johnson moved into Point O’ View with the intention of clearing the house in six weeks. But Anne kept everything, and the home’s 23 rooms were filled with a lifetime’s worth of heirlooms, notes, mail, clothing, and books. A year later, she found herself still packing her parents’ things, while unpacking many emotions — among them grief and anger — at the same time. They Left Us Everything doesn’t paint the picture of a perfect family, which is what makes it so easy to relate to. We’ve all lost people and places, and found ourselves lost in the complexities of it all. They Left Us Everything was recently longlisted for the RBC Charles Taylor Prize, and I can’t think of a book more deserving. It is the book I have been recommending to everybody this year.